Recently I have tried many new products from the natural beauty world but I’m thrilled to review some of them that really surprised me with their quality, price and performance. This is a quite young italian brand with a wide range of natural make-up products at affordable prices. I decided to try some concealers and a pressed powder to begin with. I tried the neutral shade (neutro) since I find it the most versatile and it suits every skin tone. The texture of this powder is very fine and it gives a satin, non-cakey finish to the skin, while it sets the foundation. I like it very much and it’s now among my favourite pressed powders. I will try other pressed products from the collection. I have also noticed that all the products are almost without any scent which is great for sensitive skin. I recommend this powder for setting your liquid foundation and for quick touch-ups during the day. This product is really in my personal make-up bag all the time! What a discovery after I have almost given up with natural concealers for dark under eye circles! I have chosen the shade Beige aranciato which means beige with orange undertones and so it’s really designed to cover the under eye area. The best thing is that despite the fact that it comes in a pencil version, it doesn’t dry the delicate skin around the eyes. It has a very good coverage and the shade is really well chosen for dark circles. Completely approved! Plus very handy to use. 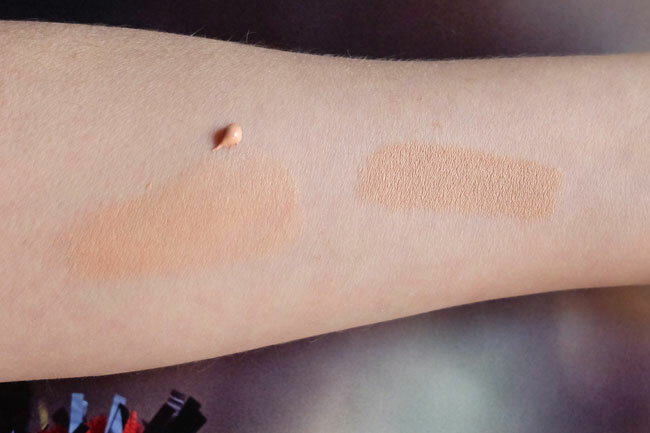 On the left you can see the swatch of the Purobio cosmetics Primer for the eye area and on the right the Purobio cosmetics Concealer stick in Beige aranciato. They are both quite similar in tonalities because they both have the orange undertone. The difference is in the texture and function: the primer is liquid with a light finish and is meant as a base, while the Concealer is creamy and more dense in its texture because is designed to cover. I wouldn’t however use the Concealer for covering imperfections on the skin, because its orange shade. As you can see from the picture I have chosen a stippling duo-fibre brush which is great for applying liquid foundations, cream blushes or cream highlighters. You can use it to apply the pressed powder as well. It will give you a light, precise airbrushed effect. For those who read the Ecco verde blog, I’ve already written a thorough review about these brushes. My opinion is that is always worth to spend on high quality make-up brushes. They perform great and with proper care they will also last longer. They are a long term investment. What I like the most about Jacks beauty line brushes is that are hand-made in Germany and each handle is a unique piece; they are painted by young homeless people who need support and so we also contribute for a good cause. The bristles are vegan. As a makeup artist I’m a big fan of different brushes and its different shapes. Like a painter needs the right brush for his artwork, so does the make-up artist. For me the most important thing when it comes to brushes is their quality that allows not just a good feeling on the face, but is also essential for a precise and well done makeup. 1. How to choose the right brush and use it. 2. 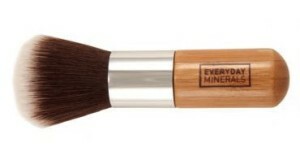 To present you an amazing collection of make-up brushes from Everyday minerals. Everyday minerals brushes are cruelty free and vegan, made from high quality soft synthetics fibers, with bamboo handles. 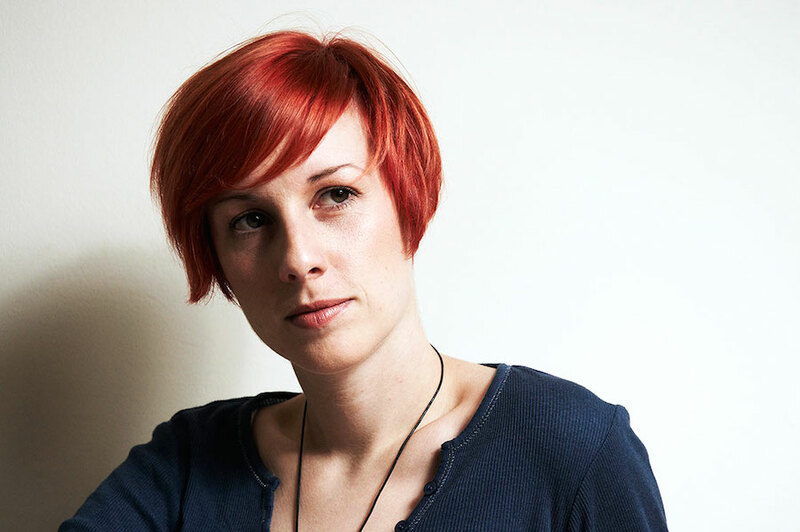 I especially love their interesting shapes, that allow different uses and an easy application. They are really high quality; despite many washings the hair don’t fall out from the brush. And the price is really good, so that everyone can afford brushes of such a great quality. The collection has 2 sections: 7 brushes for face and 7 for eyes, even though I have my own personal use for each brush. 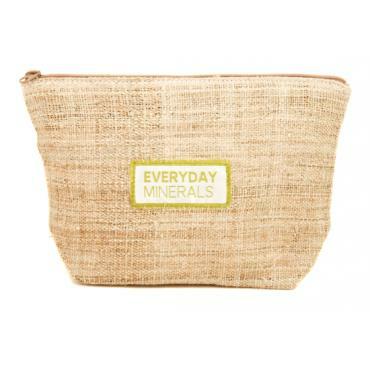 I will present my favorite ones, but you can see and purchase the entire collection at Everyday minerals. It’s a fantastic, super soft brush with dense hair. Because of its long handle I prefer it to the short kabuki brush. 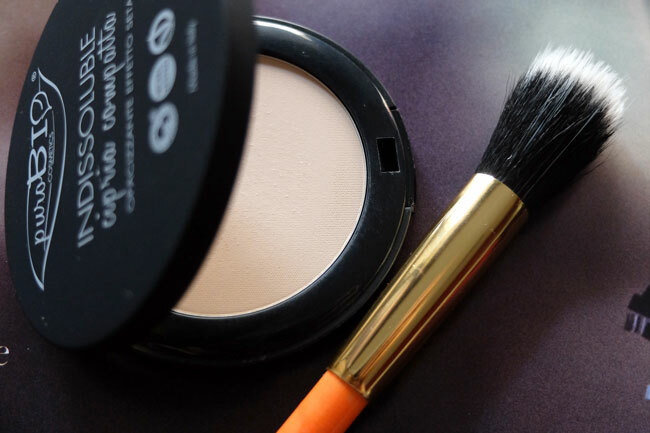 It’s perfect for an even application of powders (base, blush, bronzer). You can use it on the face, but I also like it for the application of the bronzer or shimmer powder on shoulders and neck. A multitasking must-have brush! This brush has a longer handle and it’s basically made for applying the blush on the cheeks, because of its full and rounded shape. For me it’s a great multi-purpose brush, ideal for dusting not just blush, but also shimmer powders. I adore it for a quick touch of blush or bronzer on the cheeks and over the entire eyelid, which makes a natural looking glow. It’s also great for blending, especially for correcting the excess of color from the cheeks and achieving a natural look with no hard edges. Synthetic hair and a round flat shape provide a precise application of bases and concealers, especially around the nose and eyes. I use it for applying mineral, but also liquid foundations. This brush is an essential tool for creating a truly flawless finish with professional results. You can use this smooth synthetic brush wherever you need to correct or extra coverage. It’s perfect to use around the eye area, or for applying the eyeshadow base. The slight pointed tip of this flat brush allows you to cover perfectly any imperfections or discolorations with a small amount of mineral concealer. For me the entire collection is a must-have. 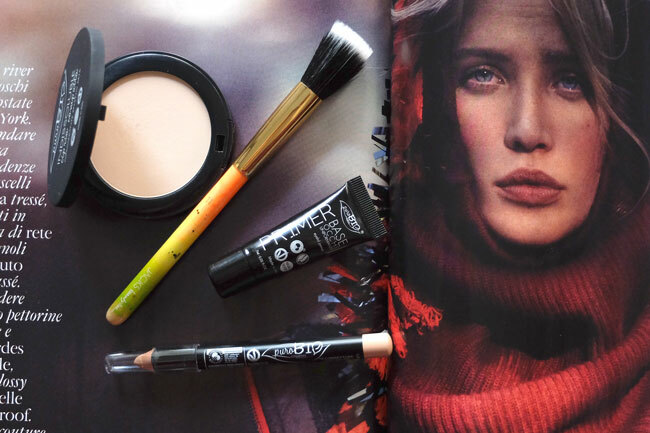 The shapes of brushes are so different and amazing for achieving every look! I really adore this multitasking brush, a basic piece! Its shape is great for applying the eyeshadow on the entire eyelid, but I also use it for highlighting some small areas with shimmer powders. It works great also with cream products; I do touch-ups with liquid correctors under the eyes, or apply some cream blush or eyeshadow. The result is always a precise and even application. This brush with tapered shape is perfect for blending the eyeshadow and soften the harsh edges. When you use more than one color of eyeshadow it’s great for a precise application into the crease of the eyelid. It is so soft that you can also use it to set the powder or highlight under the eyes or any small areas. The special pencil-shaped tip and soft fibers of this brush allows you to create a precise shade in the crease of the eye, smudge the eyeshadow along the lower lash line or to create a perfect soft smoky eye look. I always recommend this brush to everyone who has problems with making a perfect line with the eyeliner. It’s just great for creating a precise line, even the thinnest one. It’s also the perfect brush for defining the eyebrows with small strokes. This brush has also an angled shape, but has longer and softer fibers than the angled brow&liner brush. Its shape allows you to apply, contour and blend softly the eyeshadow in the crease or in the corner of the eye. 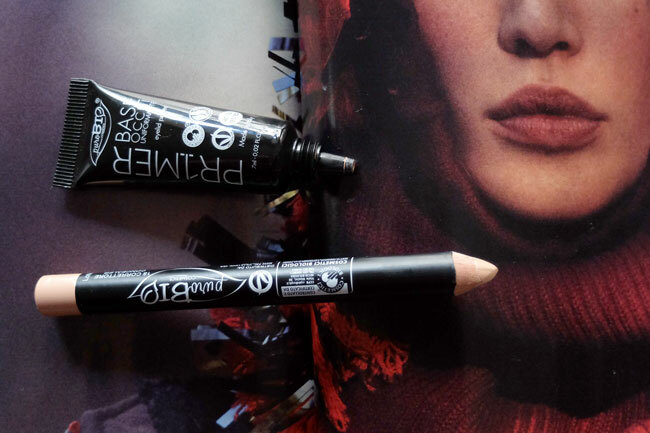 It’s the prefect brush when you want a dramatic look with dark colors on the eyes. 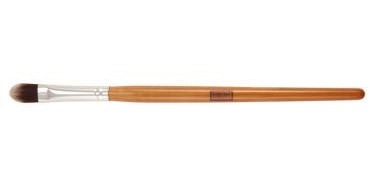 This brush is a classic eyeshadow brush with a flat rounded tip, perfect for applying and blending different colors on the eyelids, or highlighting the brow bone. The soft synthetic fibers provide an even application of powder or cream cosmetic products. If you want you can also use it for applying the concealer on small areas. HEMP MAKEUP BAG : A GREEN SUPER CUTE BAG FOR YOUR BRUSHES! I really like this green bag, where you can put your makeup and brushes. Handy and stylish, made from 100% natural hemp bast plant fibres collected from the inner bark. A green fashion must-have!